Wispa have just (indirectly) answered a Twitter question I posed on the 8th December 2008. 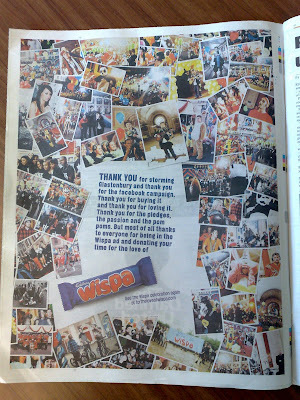 The Wispa 'Thank You' ad says 'thank you for storming Glastonbury and thank you for the Facebook campaign. Thank you for buying it and thank you for loving it' and marks the end of an amazing 12 months for the chocolate bar. 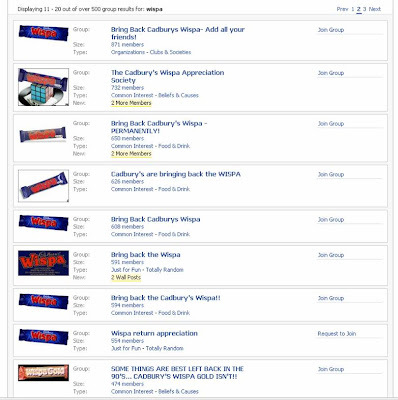 Over 500 Facebook groups were created in support of the return of Wispa. 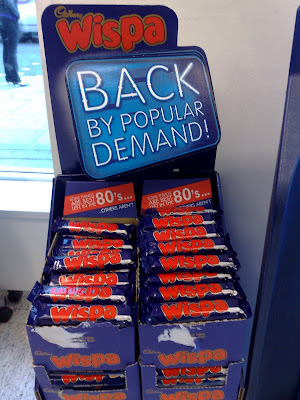 Cadbury tuned into this buzz and brought Wispa back for a trial period in late 2007. This makes a great case study around how social media can influence product development and ultimately drive sales. There are a number of things that can be learnt from Wispa's success and adapted for other products / categories. 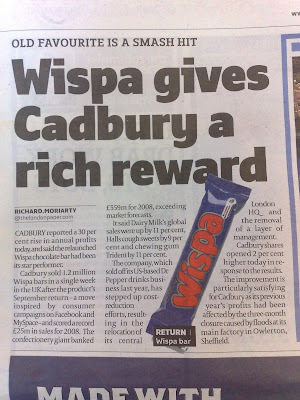 Interesting to see what Wispa do next and how much of their model is picked up by other brands. 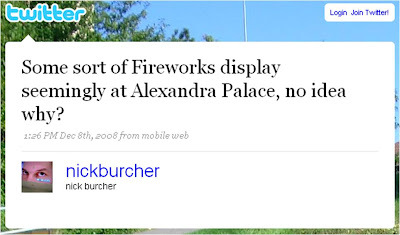 I agree Nick, think this is a great campaign (I would say that though wouldn't I?). Interesting that your twitter question has now been answered albeit 3 months later. I won't be at all surprised now that twitter has gone mainstream to see brands seeking to answer questions like this directly and more immediately (i.e. Wispa going to twitter on the day of the fireworks and actively looking at tweets referencing Alexandra Palace or fireworks in order to post replies). Would either be freaky big brotherish or quite cool depending on the execution. I have been a little surprised to only just see the thank you notes coming out in the press. But it is good to see that they are willing to thank the public for the success they have had from the social aspects that have led them to it.